The food that we eat can be broadly classified into macronutrients and micronutrients. The macronutrients are the components taken in large quantities. These include carbohydrates, fats and proteins. On the other side are the micronutrients which are consumed in very small quantities. Micronutrients basically include vitamins and minerals. They are required in small quantities to assist normal metabolism, growth and health. The role played by vitamins is discussed below. These are the organic nutrients and are mainly obtained through food, though a small quantity is also manufactured in the body. They are essential and a deficiency results in disorders which can be life threatening. These requirements vary considerably, depending on body weight, growth rate, amount of exercise and pregnancy. There are about 13 vitamins required for us. All of them have specific functions as discussed below. Some vitamins are stored in the liver. Vitamin A is one such nutrient, being stored in liver sufficient to maintain body needs for 8 to 10 months. Other vitamins stored in liver include vitamin D, sufficient for 2 to 4 months without any additional intake. These are fat soluble vitamins. The storage of water soluble vitamins like vitamin B and C will last for a few days only. The exception is vitamin B12, its stores in liver are sufficient for 10 to 12 months. 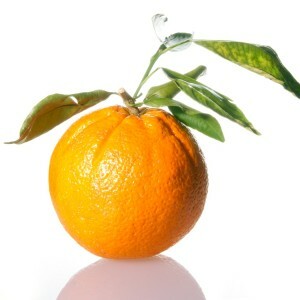 Vitamin A: This vitamin exists as retinol in the body. It forms visual pigments in retina and its deficiency leads to night blindness. It is also required for the growth of epithelial cells. The daily requirement is 5000 IU. It is found in carrots, spinach, broccoli, milk, egg, liver and fish. Vitamins are organic nutrients and are mainly obtained through food, though a small quantity is also manufactured in the body. Vitamin D: Absorption of calcium from the intestine and its deposition in bone occurs due to the action of vitamin D.
Vitamin E: This has anti-oxidant properties and helps in the growth of germinal epithelium of testes. It is also known as antisterility vitamin. Vitamin K: It helps in the formation of clotting factors in liver. Its deficiency results in bleeding disorder. It is synthesized by bacteria in colon. Vitamin C: This is ascorbic acid. It helps in formation of collagen which strengthens subcutaneous tissue, cartilage, bone, and teeth. This vitamin also promotes wound healing after surgery or an injury. Vitamin B1: Thiamine takes part in metabolism of carbohydrates and amino acids. Its deficiency causes disorders of central and peripheral nervous system. In thiamine deficiency, the utilization of glucose by nervous tissue decreases more than 50%. Thiamine deficiency can cause degeneration of myelin sheaths of nerve fibres resulting in severe weakness. Other features include anorexia, indigestion and severe constipation. Severe thiamine deficiency may result in cardiac failure. Vitamin B2: Riboflavin plays a role in mitochondrial metabolism in cells. Its deficiency may cause headache, forgetfulness and depression. Vitamin B6: It plays a key role in amino acid synthesis. A lack of normal intake results in anaemia, growth reduction and mental deterioration. Vitamin B12: It has a role in the replication of genes. It promotes growth and red cell formation. Its lack results in pernicious anaemia and demyelination of spinal cord. Biotin: It is also known as vitamin H. It is involved with synthesis of fatty acids, essential amino acids (isoleucine, valine) and in gluconeogenesis. It helps in maintaining blood glucose level. Folic acid: Its most important use is in the synthesis of purines and thymine, which are required for formation of DNA. It takes part in gene replication and promotes red cell growth like vitamin B12. Niacin: It is responsible for energy production in cells which is stored as ATP (adenosine triphosphate). Its deficiency leads to pellagra which is characterised by diarrhea, dementia and dermatitis. Pantothenic acid: It plays an important role in metabolism of carbohydrates and fats. The role of vitamins is important as they are responsible for many metabolic processes. Almost all organ systems function optimally when they are available in our diet in adequate amounts. A balanced diet meets our daily requirements. In many situations, the role of nutritionist becomes important for a proper dietary advice and should be sought.